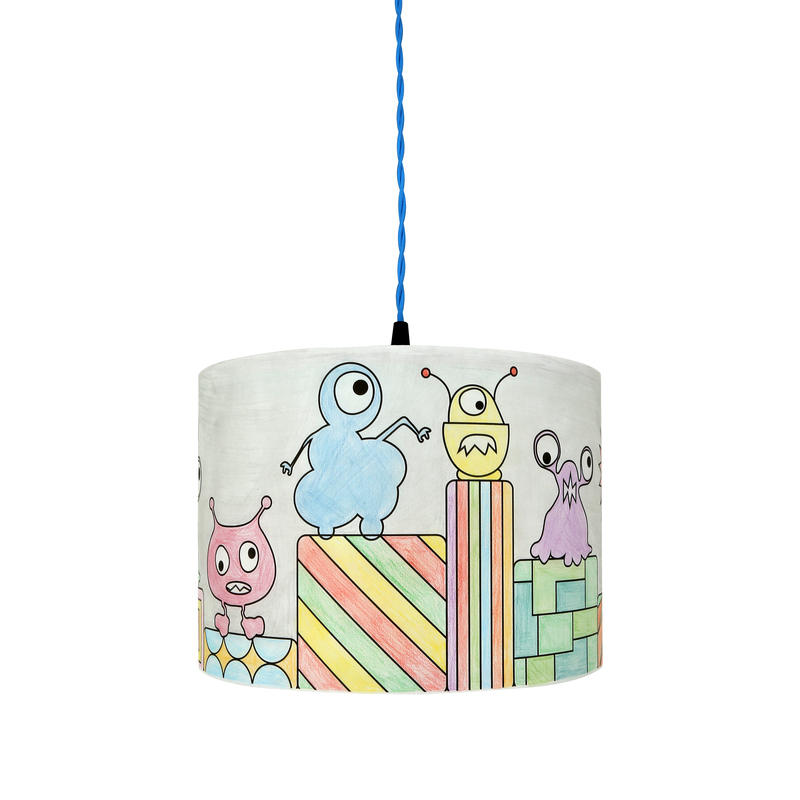 A children’s lampshade or nursery lampshade is the perfect way to add warmth to a little ones bedroom and can be the finishing touch to any themed room! 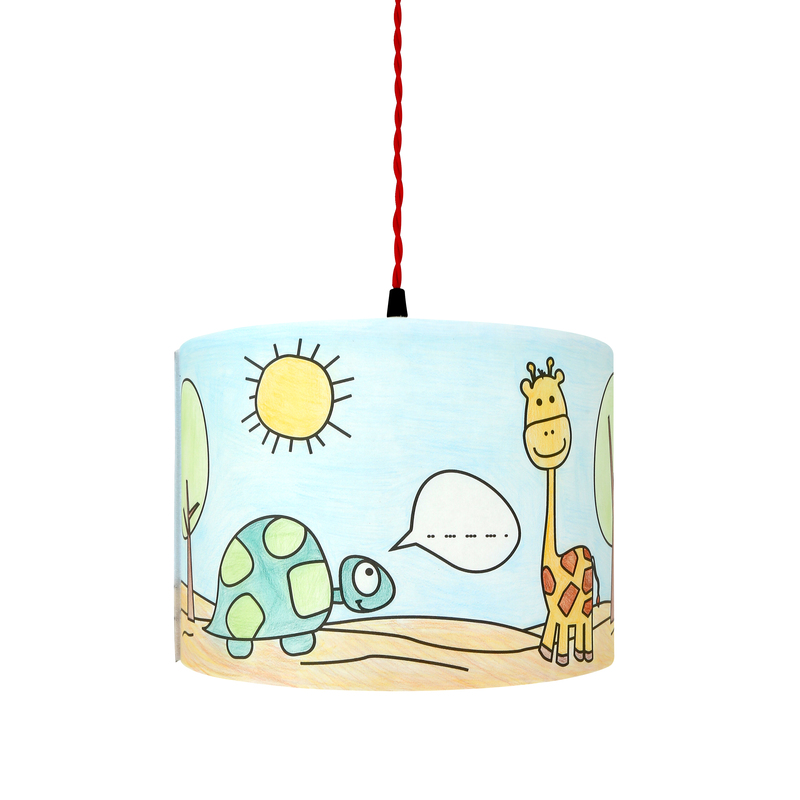 Mullan Kids sell a unique range of children’s lampshades designed to inspire and delight your children. 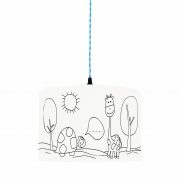 Our products feature gorgeous girls and boys designs to suit any child’s room, from princesses to monsters, from elephants to wagons, our kids collection is a magical variation and full of fun. 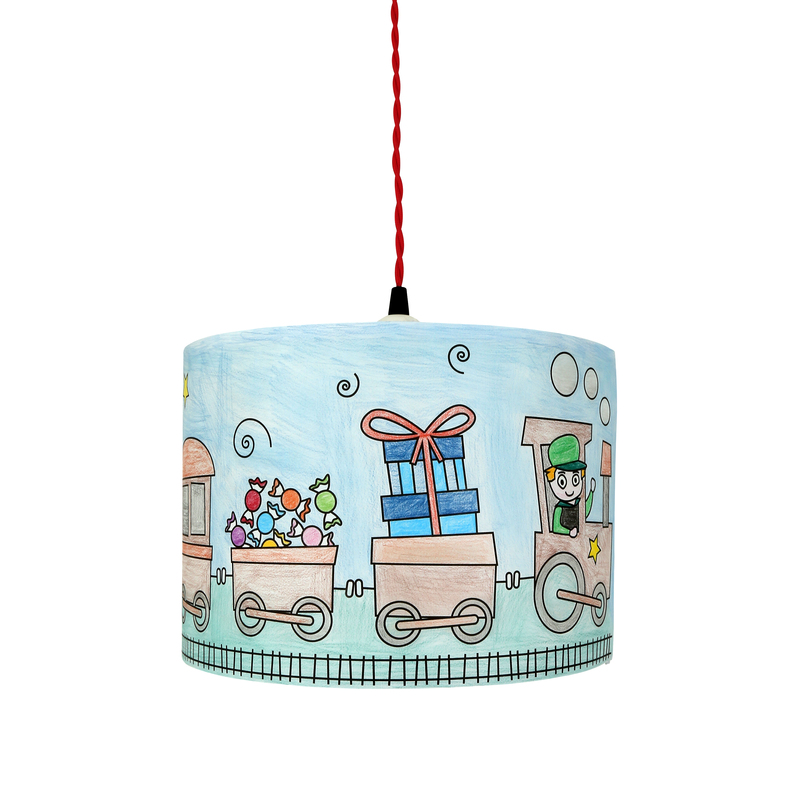 We believe that “children should be children” and our lampshades go some way to ensure that children use their imagination to play and enjoy their childhood. 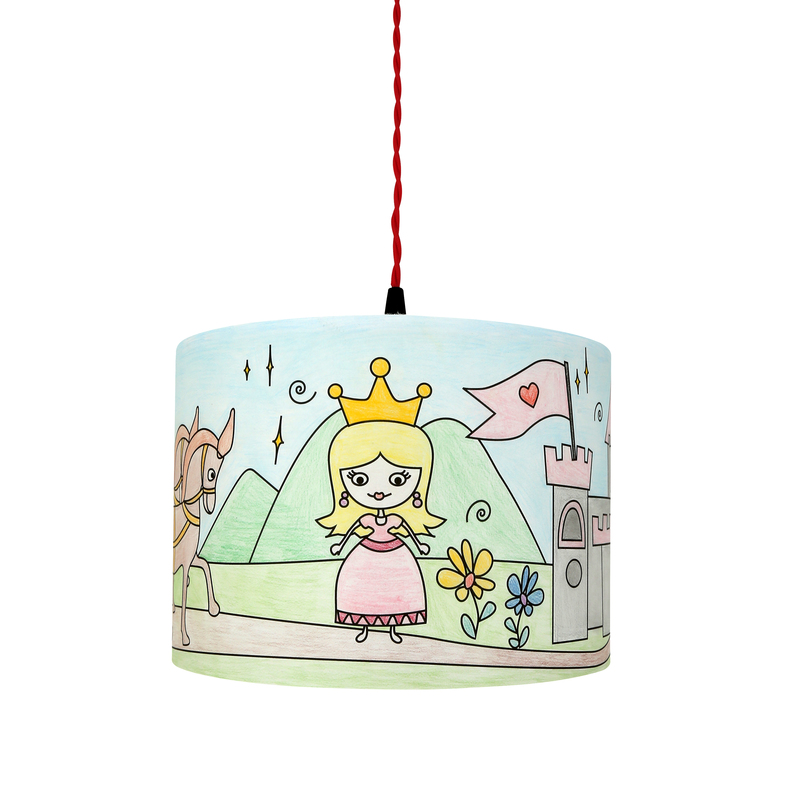 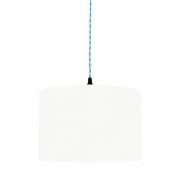 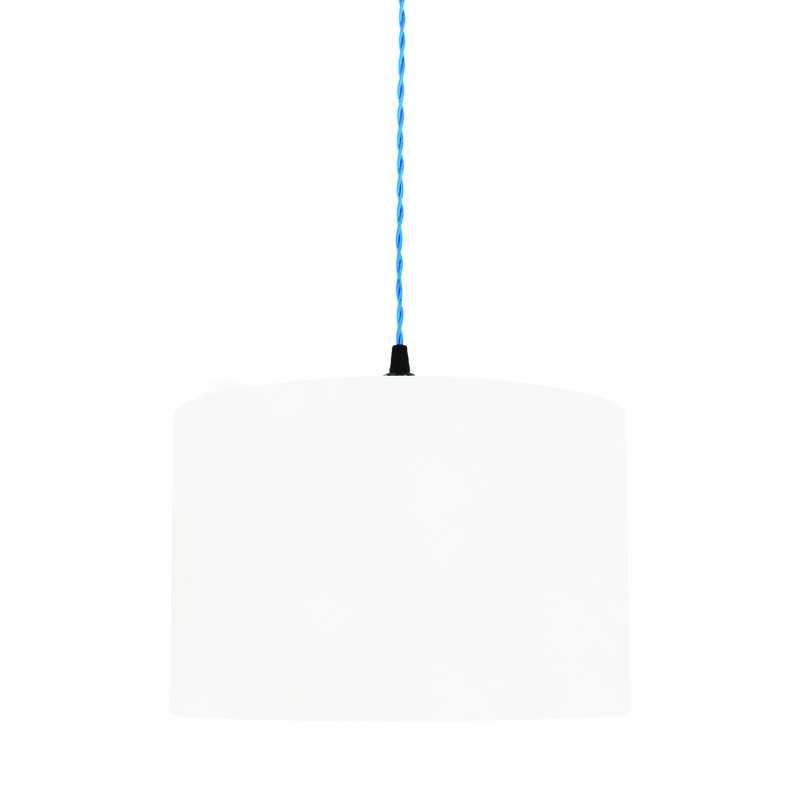 All our lampshades are hand rolled and are backed with flame retardant PVC. 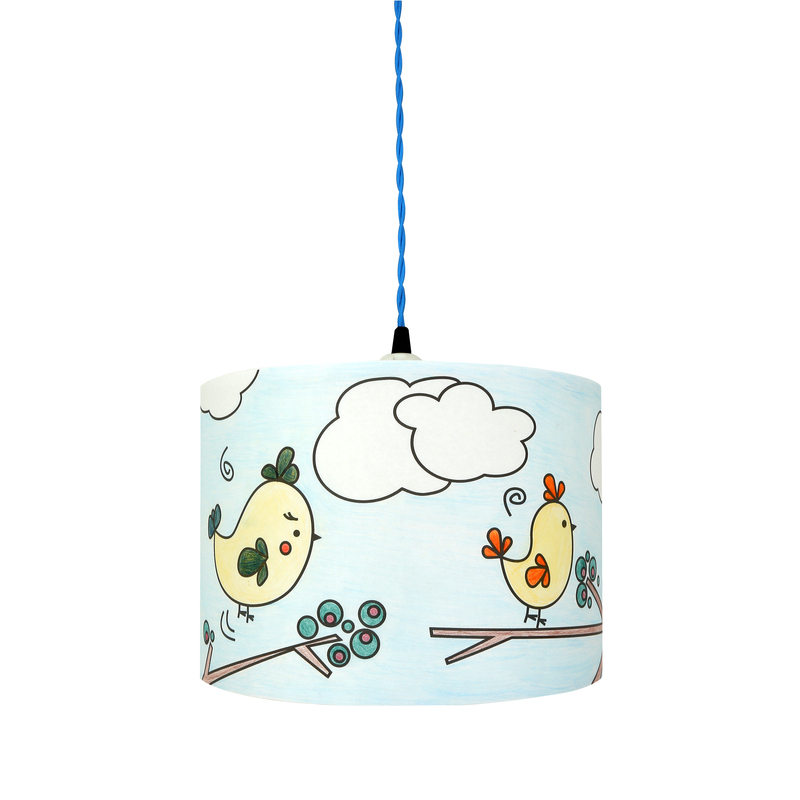 Mix and match different shades throughout the room or choose one that specifically reflects your child’s personal taste. 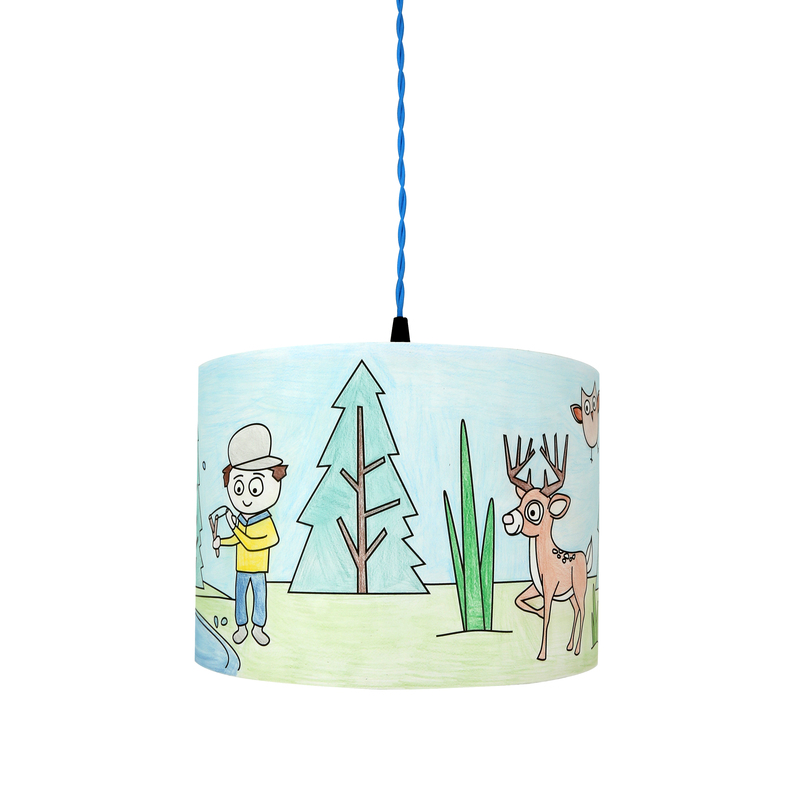  Let your kids imagination run wild and turn a lampshade into a piece of art for everyone to enjoy with this colour me in lampshade. 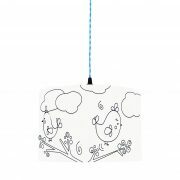 With 7 designs to choose from, they can explore their creativity and unleash their inner artists!